Enjoy your time to shine in Alyce 60292. This glamorous jersey gown twinkles under the spotlight with tone-matching glitter from start to finish. The bodice has a V-neckline, spaghetti straps, and a square back, with zipper closure. Glitter highlights your curves in the floor-length, fitted jersey skirt. 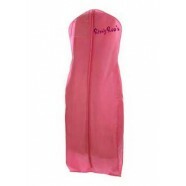 Have a fabulous night in this gown at a prom, wedding, or military ball.